Annaliza’s 10-month run included a near-30% ratings average, and a total of 215 episodes which doubled that of the four different rivals in its timeslot. For 10 months, the ABS-CBN drama series ‘Annaliza’ was the ratings leader in its timeslot, outplaying its GMA counterparts by a wide margin. As the series concludes this week, let’s look back at how ‘Annaliza’ was able to force GMA to regroup. ‘Home Sweet Home’ debuted on GMA’s Telebabad block on April 22, 2013. Meanwhile, ‘Annaliza’ debuted over a month later, on May 27. In its pilot episode, ‘Annaliza’ managed a promising 16.7 % over ‘Home Sweet Home”s 8.8%, setting the stage for its lengthy 10-month run. While ‘Home Sweet Home’ had a decently good story and a cast led by Raymart Santiago, Bea Binene and Jake Vargas, they were unable to overcome the surprisingly strong acting chemistry between young actress Andrea Brilliantes and co-stars Patrick Garcia, Kaye Abad and Denise Laurel. ‘Home Sweet Home’s final episode on July 19 managed only an 11.4% rating, while ‘Annaliza’ earned 20.4%. ‘Home Sweet Home’ had a total of 64 episodes during its run. ‘Annaliza”s next opponent was ‘Binoy Henyo’, featuring another young Kapuso talent in David Remo. ‘Binoy Henyo’ debuted on July 22, but only managed a 12.8% against ‘Annaliza”s 22.1%. Unlike ‘Home Sweet Home’, ‘Binoy Henyo’ enjoyed a rather brief run, lasting for only two months and 45 episodes, with its finale on September 20 managing a paltry 14.4% against ‘Annaliza”s 27%. Unfortunately for Remo, he was never seen again after ‘Binoy Henyo’, while the showbiz career of Andrea Brilliantes continues to soar with each episode. As a result, GMA decided to create a new series, this time casting a popular love team in hopes of changing their fortunes. Up next for ‘Annaliza’ was ‘Prinsesa ng Buhay Ko’, starring the tandem of Kris Bernal and Aljur Abrenica. But despite the obvious age and experience gap between Andrea Brilliantes and the so-called ‘Alkris’ love team, ‘Annaliza’ still topped ‘Prinsesa ng Buhay Ko’ on its September 23 pilot, registering a 27.3% over the latter’s 15.1%. Nevertheless, ‘Prinsesa ng Buhay Ko’ proved to be a more formidable opponent in its five-month run. But formidable was not enough, and it showed by its performance in the ratings. ‘Prinsesa”s final episode on January 24 managed only a 10.5% rating to ‘Annaliza”s 20.6%. After the series, Aljur Abrenica was paired with Louise delos Reyes in ‘Kambal Sirena’, temporarily putting ‘Alkris’ on the shelf. 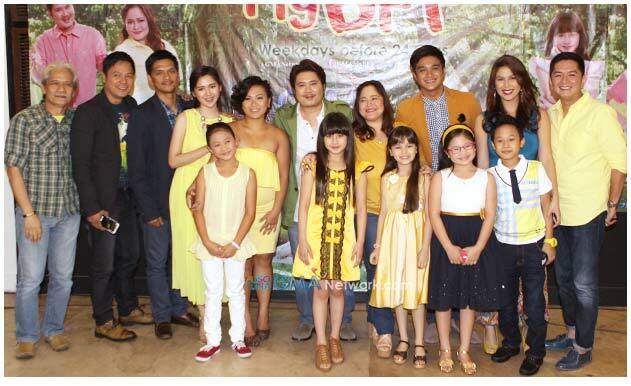 ‘Annaliza”s 10-month run would conclude against ‘Paraiso Ko’y Ikaw’. The series, starring Kim Rodriguez and Kristoffer Martin, debuted on January 27, but only mustered an unimpressive 9.6% against ‘Annaliza”s 23.7%. Like ‘Binoy Henyo’, ‘Paraiso Ko’y Ikaw’ failed because of poor marketing and storytelling, and as a result, it only lasted 45 episodes, with its finale scheduled to air on March 28, which at this point the Julia Barretto-starred ‘Mirabella’ was on its first week. When it’s all said and done, ‘Annaliza’ had topped them all. In its 10 months on the air, ‘Annaliza’ proved to be a more dramatic, more passionate, and more well-written series than anyone had ever imagined. And its successful run should give Andrea Brilliantes something to look forward to as she moves on to bigger and better things. As for GMA, it was a harsh lesson to learn. Fortunately for them, ‘Annaliza’ will no longer be the least of their problems come next week. However, the impact that ‘Annaliza”s had on GMA’s programs will continue to reverberate on the Kapuso network in the months to come. Instead of facing Angel Locsin, Marian Rivera will face Kathryn Bernardo as ‘Carmela’ debuts this Monday opposite ‘Got to Believe’. GMA has announced the airing schedule for the upcoming series ‘Carmela’ and ‘Rhodora X’. And as expected, Marian Rivera will not face Angel Locsin in the same timeslot, even as fans of both camps clamor for the two ex-Darna stars to clash at the same time. ‘Carmela’ will face ‘Got to Believe’ on its timeslot. The latter series, starring Kathryn Bernardo and Daniel Padilla, have been on a roll of late thanks to high ratings and social media returns, and the entry of ‘Carmela’ gives them the opportunity to battle another veteran star in Marian Rivera. Previously, ‘Got to Believe’ toppled the Dingdong Dantes-starrer ‘Genesis’, leading to its rather premature finish before the end of 2013. On the other hand, Angel Locsin’s new teleserye ‘The Legal Wife’ will be up against Jennylyn Mercado’s series ‘Rhodora X’. In a lead-up to their upcoming primetime face-off, Mercado made it clear that she wanted no part in her ex-boyfriend Luis Manzano’s reconciliation with Locsin, and she wished them good luck in their romance. Mercado last appeared on the GMA Network via the reality competition series ‘Anak Ko Yan’, which once faced ‘Minute to Win It’ hosted by Luis Manzano. Meanwhile this is Locsin’s first teleserye since ‘Imortal’ in 2010, and during that span, she co-starred in the sitcom ‘Toda Max’ and made several movies. In addition to ‘Carmela’ and ‘Rhodora X’, GMA will roll out another teleserye in its ‘Telebabad’ block. ‘Paraiso Ko’y Ikaw’ will replace ‘Prinsesa ng Buhay Ko’ in the sunset slot. The new teleserye, starring Kim Rodriguez and Kristoffer Martin, will be the latest in a series of attempts to topple the long-running ABS-CBN series ‘Annaliza’, which has defeated both ‘Home Sweet Home’ and ‘Prinsesa ng Buhay Ko’ since debuting in May 2013. And like Julie Vega in the original series, Andrea Brillantes has been splendid in playing the titular character, leading to its consistently high ratings. Even as GMA tries to counter ABS-CBN with their new primetime offerings, I expect another ratings beatdown from the Kapamilya network. Simply put, GMA cannot beat ABS-CBN anymore, and I have made it clear that the race has already been conceded.